Spoon a serving on a non-stick pan brushed with some veg.oil. Cook for 2-3 minutes per side until it slightly browns. 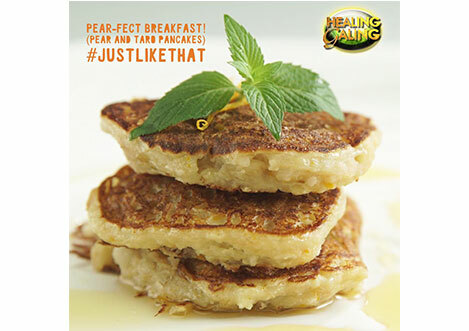 Serve with pear slices, stevia leaves and healing galing honey as syrup.